Gazing into the eyes of an animal is akin to precariously balancing on the precipice, being faced with unfathomable depths of the unknown and realising that there is so much left to discover and explore. I find myself searching these depths for their story, wondering at what they have silently witnessed. I have always been drawn to eyes, especially when photographing animals, the vast range of colours, shapes, sizes and patterns intrigue me and can hold my attention for hours. The deep mesmerising blues, the emerald greens flecked with gold, the moody greys, the chestnut browns, the striking contrast of the deep blackness of the pupil centred in a sea of brilliant yellow and the crypts and furrows of some frogs resembling a forested Amazonian delta. There are few commonly shared features but the sheer number of configurations rendering every eye as unique and in my mind, captures the essence of being. Not particularly scientific but enthralling nonetheless. I did not want to delve into the extreme intricacies of how eyes function but rather marvel at how diverse a single organ can be as well as uncovering a few fascinating facts about the eyes of the various animals I have photographed. Nature truly is spectacular! 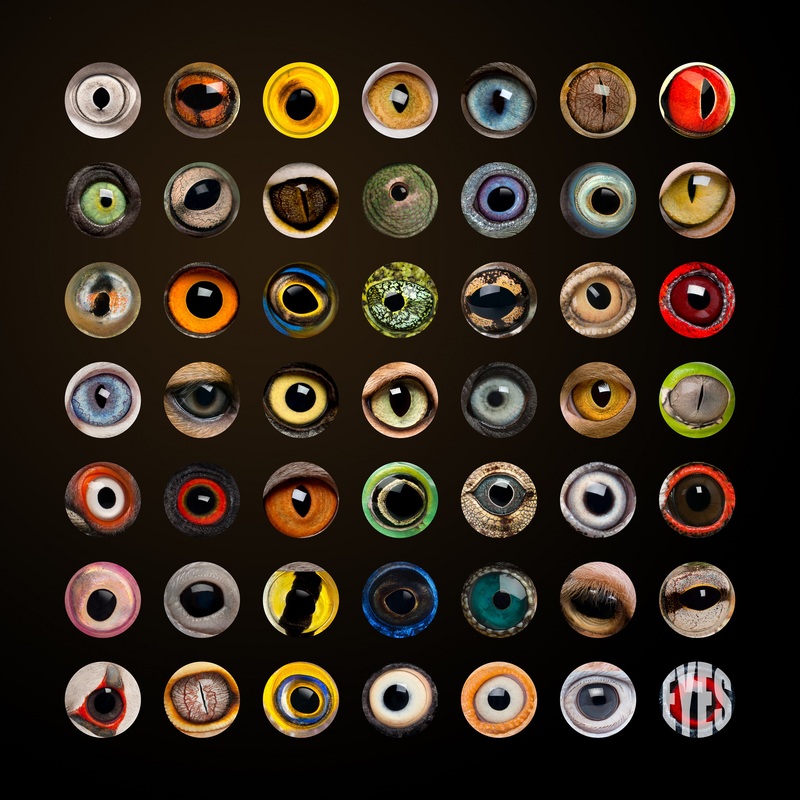 How many of these eyes can you recognise? – DeRemer 2014. Eyes and the power of vision vary greatly across the animal groups; from the poor eyesight of the black rhino (Diceros bicornis), only 4.5 m, to the complex vision of the peacock mantis shrimp (Odontodactylus scyllarus) that has yet to be fully explained. Due to these crustaceans possessing twelve different photoreceptor (light receiver) types it was thought that their colour vision was superior to humans, who only possess three. This theory has been refuted however, as while they do have many more types of light-detecting cells than humans; their ability to distinguish between the colours is limited (Thoen et al. 2014). The first appearance of eyes in the fossil record occurs during the lower Cambrian period, approximately 540 million years ago (Parker 2009). Due to the incomplete state of this record, it is however difficult to estimate the rate of evolution from the simple circular collection of photoreceptor cells to the fully functional form with which we are today accustomed. Using pessimistic calculations based on approximated rates, it has been theorised that it would have taken less than 364 000 years for this transformation to have taken place (Nilsson & Pelger 1994). Eyes are optimally designed for the specific requirements of each of the organisms that possess them and as such display a wide range of adaptations. Peacock mantis shrimp (Odontodactylus scyllarus). 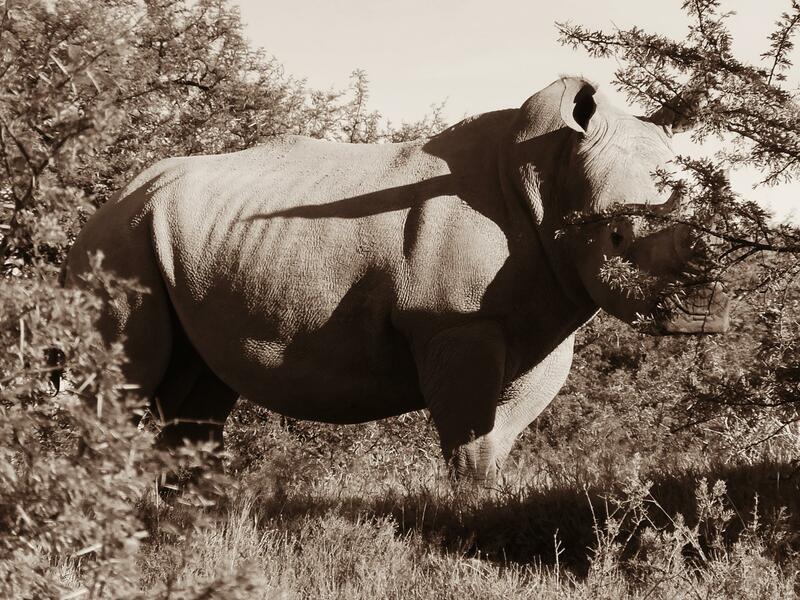 Black rhino (Diceros bicornis) rely more on their hearing and excellent sense of smell to detect predators. A configuration of eight simple eyes is how the majority of the species in Order Araneae are defined. The two main eyes (prominently placed on the head) of these spiders have high resolution but a small field of vision and are especially well developed in the jumping spiders. The light sensitive cells of the retina point towards the light source contrasting to those of the secondary eyes, which point away from the light and are used to detect shadows and the difference between light and dark. Most spider species are nocturnal but few have good eyesight, relying instead on touch and taste to navigate and determine what is occurring in their immediate surroundings. Even though web-building species rely primarily on receiving cues from their web; those that build their web at dusk, taking it down at dawn, rely on their eyes and their extreme sensitivity to light quality, to regulate this behaviour. A handful of spider families, such as the wolf and jumping spiders (Lycosidae and Salticidae respectively), do however require acute vision for hunting and recognising mates and rivals. The eyes of jumping spiders are used to see in three different ways while out hunting. 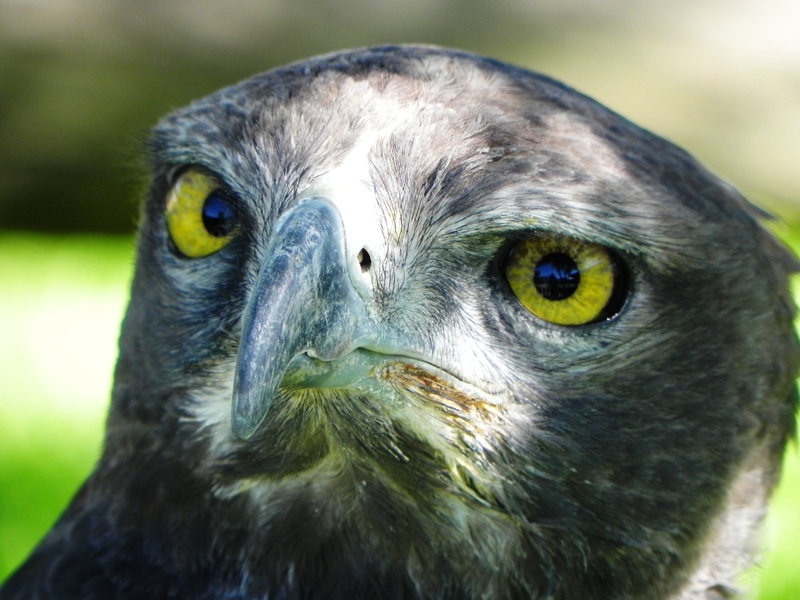 The side eyes are used to detect movement while the large eyes situated at the front and middle of the head are used to lock onto the potential prey item, after which the side front eyes are used to judge the distance. The two enormous eyes found on the net-casting or “ogre-faced” spiders resemble deep blue marbles and, while making the animal appear menacing and slightly cranky, act as search lights that provide exceptional low-light night vision that allows them to accurately cast their net over their unsuspecting prey. They place white faecal spots on the leaf below their ambush point to assist in the accuracy of their netting. Australian Museum 2013; Leroy & Leroy 2003. 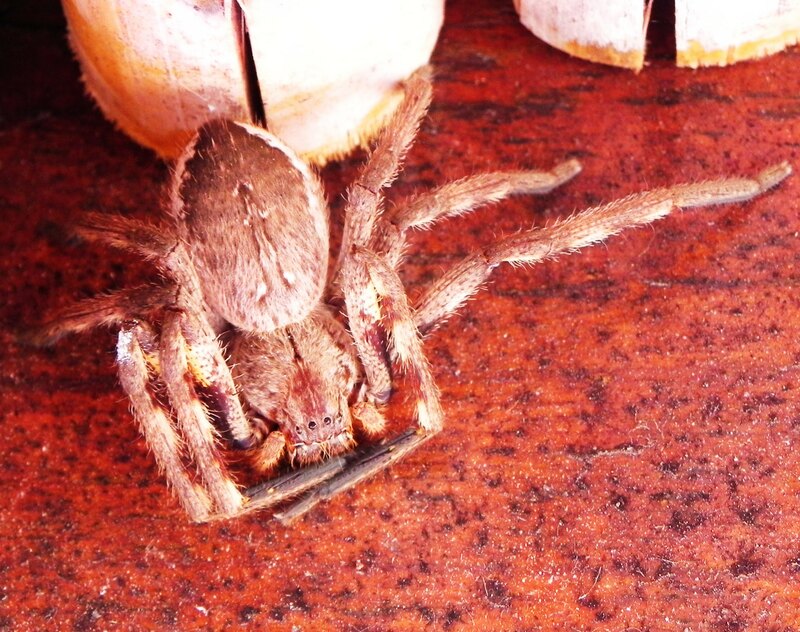 Rain spider or huntsman (Palystes castaneus) has two rows of four eyes. Crabs are vulnerable to not only shore-based predation but also aerial attack and as such require the ability to be able to see in all directions simultaneously. As they are incapable of moving their heads, some crab species have eyes at the end of flexible stalks that allow the animal to direct their eyes in any direction required. These eyes are of the large compound variety, made up of hundreds of tiny lenses, and while they can distinguish colours their level of detail is restricted. 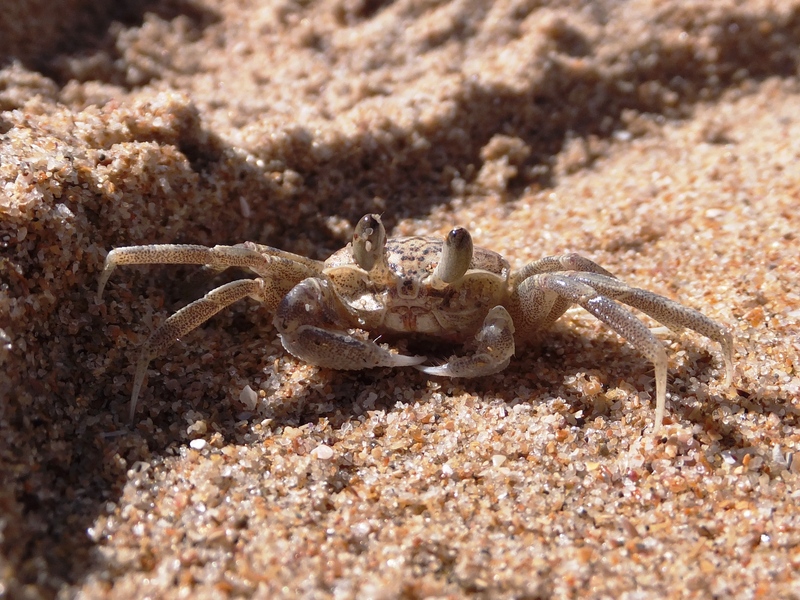 Some species, such as the ghost crabs (Ocypode spp. ), are nocturnal and defined by their stalked eyes, usually set close together. The eye-stalks have the ability to fold away into grooves on the body allowing the crab to hide in tight crevices without breaking them. Alexander 2011; Peter et al. 2008. 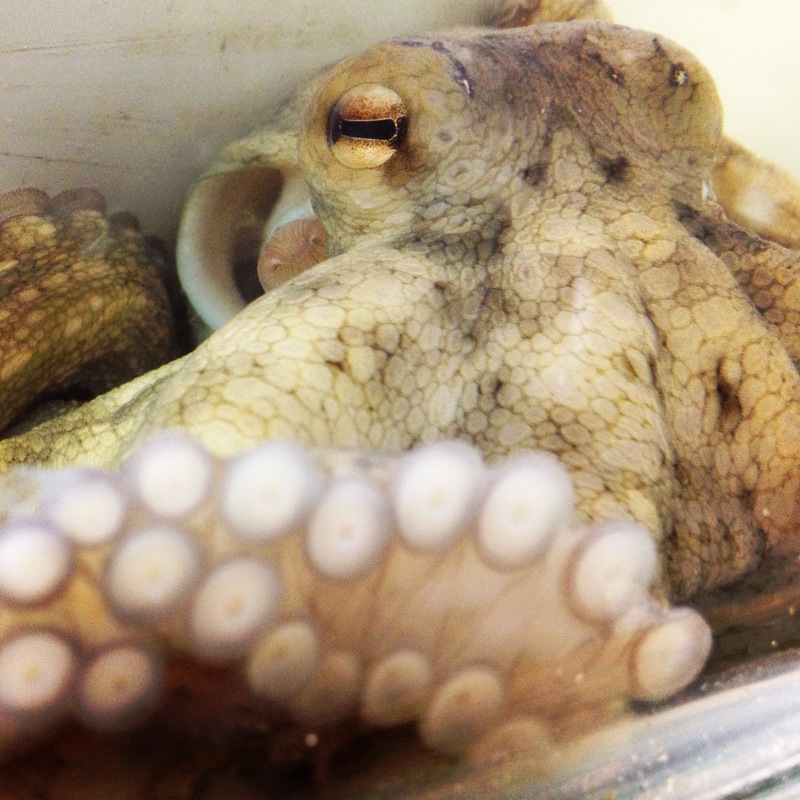 If you have ever looked at an octopus eye, you may well have noticed that their pupils are horizontally orientated and rectangular like those of goats. These peculiar looking creatures possess statocysts (balance sensory receptors located in the brain) that monitor body orientation allowing the position of the pupil to remain in a horizontal position. Octopuses have two rotating eyes with excellent vision and,while they do not have a blind spot they are near-sighted, not being able to see too far past approximately 2.5 m. It appears that not all of these animals are able to view their world in colour, a trait that is species-specific, but polarised vision (reducing glare and increasing contrast) allows them to detect transparent prey such as jellyfish. Chromatophores (pigment-containing and light-reflecting cells found in their skin) are capable of generating patterns; dependent on season, behaviour and stress; congruent with polarised light thereby allowing them to effectively communicate with each other. Kawamura et al. 2001; Orma 2013. Darwin the common octopus (Octopus vulgaris). Chameleons are awesome little creatures with distinctive eyes that provide a 360° vision arc as well as the ability to look in two directions and focus on two different objects simultaneously. This enables them to concurrently hunt for prey and avoid predators. The upper and lower lids of these curiously rotating eyes are fused into a cone-like shape, creating a pinhole field of vision through which only the pupil is exposed. Once prey has been detected, chameleons can focus both their eyes in the same direction giving them sharp stereoscopic vision, binocular vision with acute depth perception. Of the reptile group, chameleons are rated as having very good eyesight allowing them to spot small insects from a distance of up to 10 m away. Harris; Ott et al. 1998. Eastern Cape dwarf chameleon (Bradypodion ventrale). Land 2006; Queensland Government 2013. The eyes of some gecko species are thought to be approximately 350 times more sensitive than human eyes, allowing them to see colour in the dark (we would only be able to see black and white under these low light conditions). These animals are able to acutely focus on at least two different depth fields simultaneously as well as having the ability to instantaneously correct blurred images. These features are currently being studied in an attempt to improve both camera technology and contact lens. Most species are not able to close their eyes; leaf-tailed geckos have immovable transparent scales covering their eyes instead of an eyelid, sporadically cleaning them with their tongue. Geckos have excellent sight and the vertical slit pupil, indicative of nocturnal species, provides superior night-time vision. Röll 2001; Roth et al. 2009. Possibly a tropical house gecko (Hemidactylus mabouia). 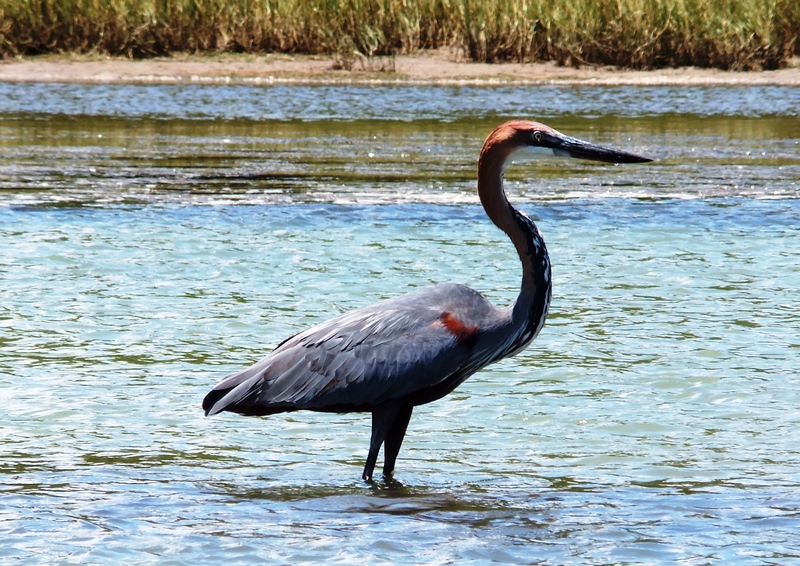 The ability of herons and egrets to stealthily hunt fish viewed from above the water surface is made possible through the ability of these birds to correct for refraction (bending of light), especially when prey is being observed at an angle. It has been documented that catches have a higher success rate when strikes are made at an acute angle, possibly due to the fact that the fish is unable to detect the presence of its predator. 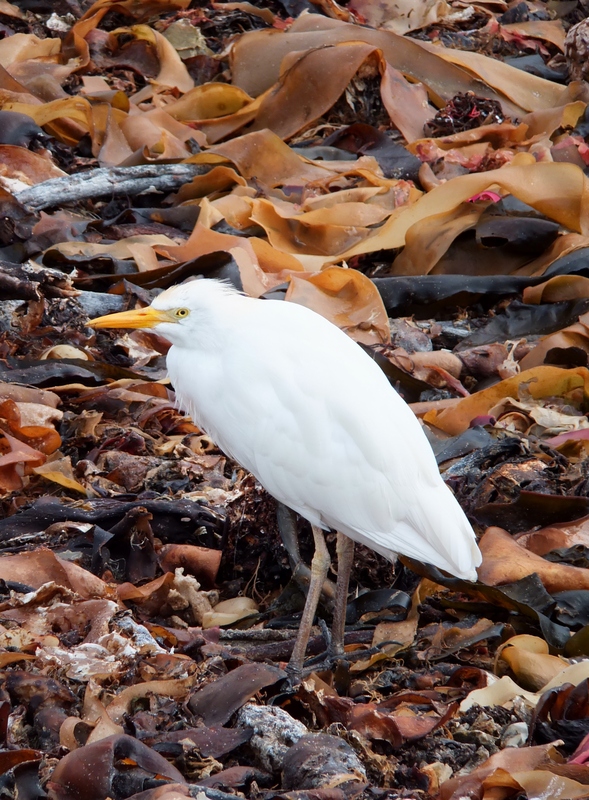 In addition, it has been noted that egrets operate within an optimum strike angle and that the probability of misses increases when this angle strays too far from the vertical. This results in an increased difference between the perceived and actual depth of the prey item. Their wide-set eyes are well-developed, and possess a substantial capacity for movement, being directed forward to provide binocular vision, enhancing depth perception. As their head is kept motionless while hunting, they have the ability to direct their eyes downward, enabling them to scan the region in front of and below their bill for prey. Social signalling is made possible through the changes in the iris colour, both seasonally and behaviourally (when agitated) of some species. Katzir et al. 1989; Lotem et al. 1991. Disproportionally large, striking eyes give the owl its distinctive appearance, improve its efficiency when hunting and have been inspiring legends and folklore for centuries. These nocturnal predators exhibit one of the largest binocular fields of vision in the animal kingdom but can only see in limited colour or black and white. They are however farsighted and therefore unable to focus on an object within a few cm from its eyes. The fact that owl eyes are fixed into place and immovable (due to the tubular structure) is countered by the ability of these birds to substantially swivel their head (approximately 270°) in order to observe their surroundings. 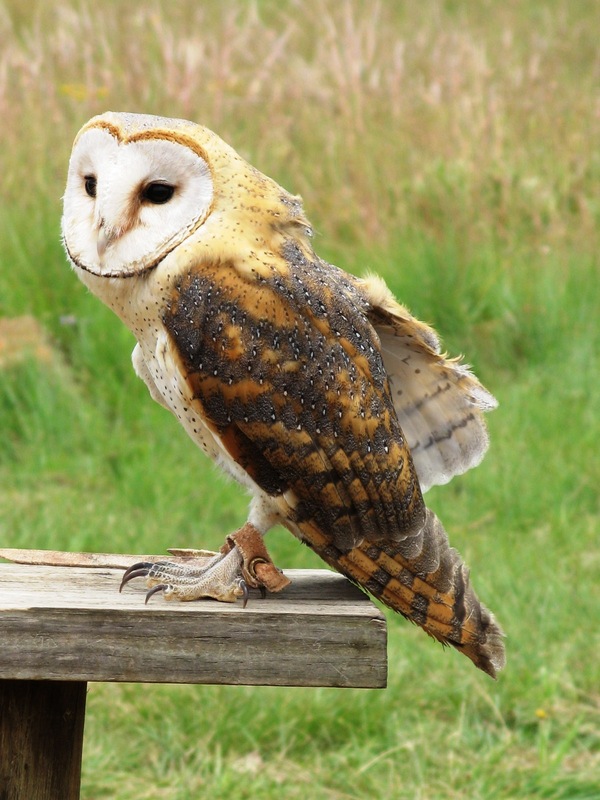 The ability of being able to see behind them without relocating their torso has the added benefit of minimising body movement, subsequently reducing the amount of sound emitted by the owl while awaiting its prey. 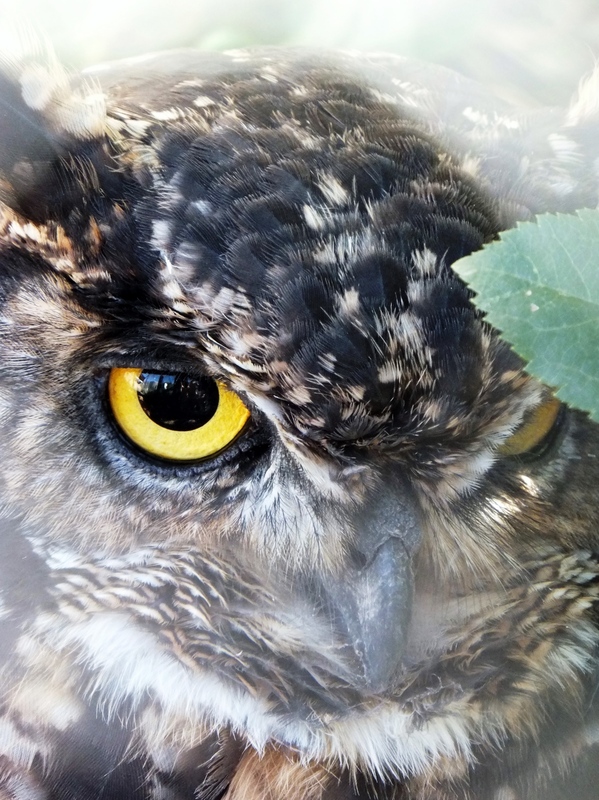 Owls are another animal group that have a nictitating membrane for added protection. König et al. 1999; Lewis 2012. With eyesight estimated at being between four and eight times stronger than that of humans, the eye of the eagle is one of the strongest in the animal kingdom. It has been documented that these birds are able to spot a rabbit approximately 3 km away as well as being able to distinguish between five distinctly-coloured squirrels and locate hidden prey. Eagle eyes move independently from each other and continually adjust during an aerial attack in order to maintain its acute focus throughout its approach. Eagles possess a unique structure, pecten oculi, and while its exact function is largely unknown it has been suggested that it absorbs light to minimise reflections inside the eye, aids in motion perception, senses magnetic fields, provides a protective shade from the sun and nourishes the retina. While eagles have excellent sight, they do not have good night vision. Grambo 2003; Hutchinson & Silliker 2000. Possible martial eagle (Polemaetus bellicosus). 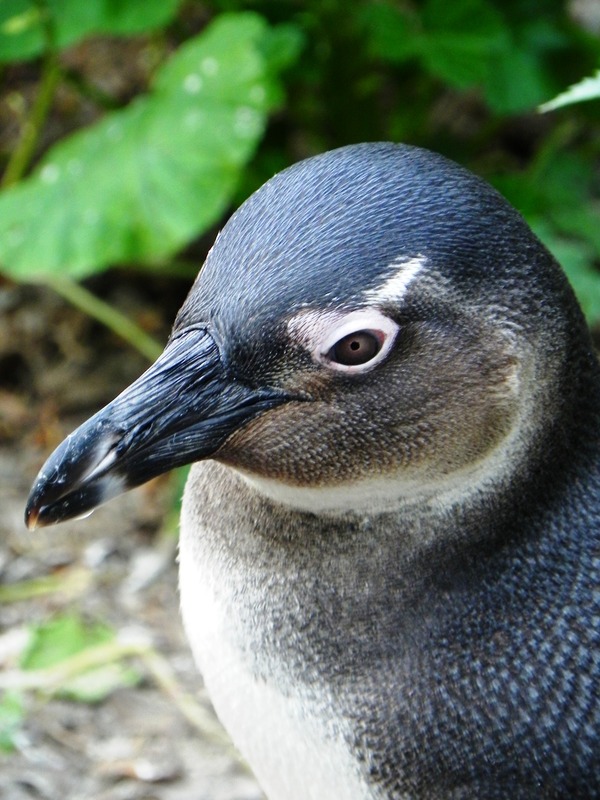 The forward-facing eyes of the penguins allow for binocular vision, they are able to see over great distances, both on land and under water, and extremely well during the day and the night. Research has indicated that these birds are also able to see in colour. 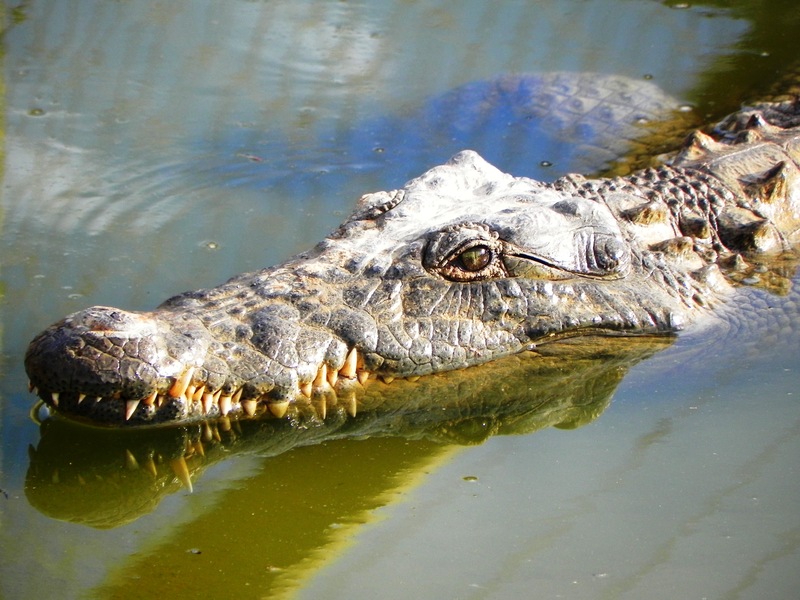 While diving the nictitating membrane protects their eyes, as they depend on their sharp-sightedness to locate and hunt down prey, and when on land it is used to clear away sand. It has been shown that the depths of their dives are directly dependent on the intensity of underwater light and as such they tend to dive to deeper depths during the afternoon rather than the evening. Juvenile African penguin (Spheniscus demersus). The vision of the monkey is second only to that of the raptors such as eagles. They possess superior colour vision and simultaneously use their sight along with their other senses in an attempt to pinpoint something. While sight assists them in navigation and learning behaviours from other group members, they have very poor night vision. The depth perception of stereoscopic vision is extremely important to arboreal (tree-dwelling) primates as it allows them to accurately judge the distance between branches when moving through the canopy. 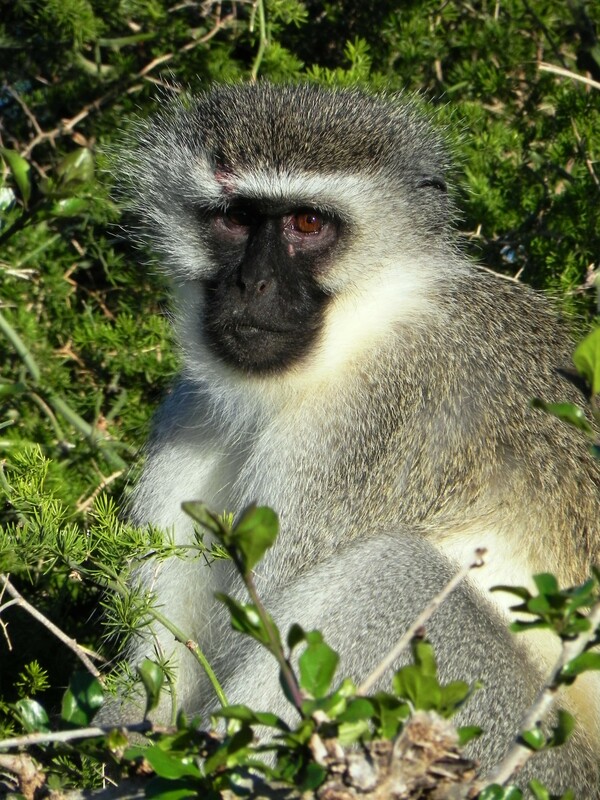 The colour vision of the vervet monkey (Cercopithecus aethiops) allows it to distinguish between ripe and unripe fruit. The eyes of dogs allow them to distinguish between blue and yellow wavelengths but not red and green resulting in an eye structure and subsequent sight similar to that of a colour-blind human. As mentioned above, canines also possess a tapetum lucidum to intensify available light giving them an added advantage during the optimal hunting times of dawn and dusk. Most dogs have a 250° field of vision (the domestic sight-hounds have up to 270°) and the exact degree of binocular vision is directly dependent on the shape of their head and the placement of their eyes. As a general rule, long-nosed dogs have a smaller degree of binocular vision than short-nosed dogs but domestic breeds such as the chow chow have such deep-set eyes that their peripheral vision is reduced. Bare this in mind when approaching these breeds from the rear. Dogs are able to visually discriminate between humans (identifying their owners) from a distance of up to 900 m. This decreases to no less than 500 m if the person is stationary (I have found that, although making me look like a complete loon, waving my arms around does help my dog, Rogue, locate me when she is off on a beach walkabout). The eyes of different domestic dog breeds have a wide range of shapes, dimensions, colours and retina configurations but most of them have good vision. 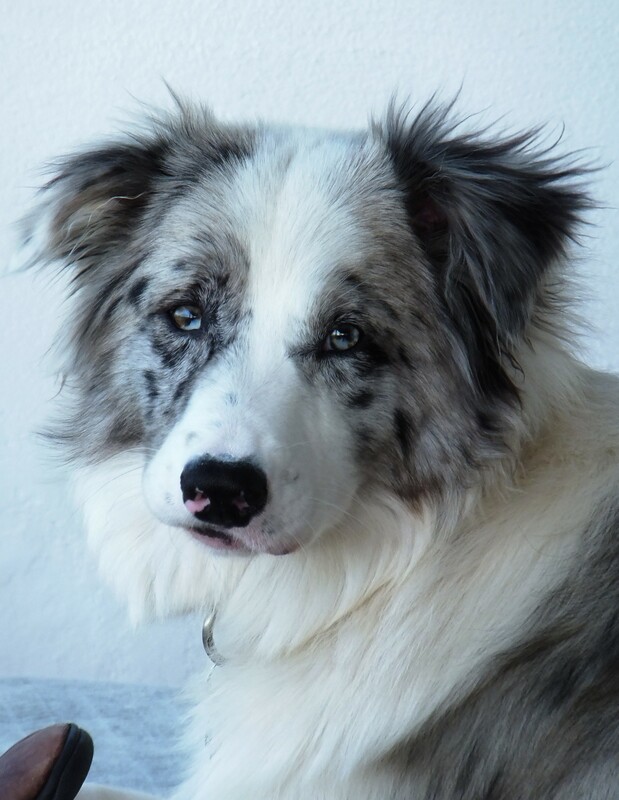 Heterochromia iridis, while not common in wild canids, is common in some breeds of dog; such as the Siberian Husky, Jack Russell, Collies and Australian Shepard; and as it is hereditary, is a trait of selective breeding in pure breeds. 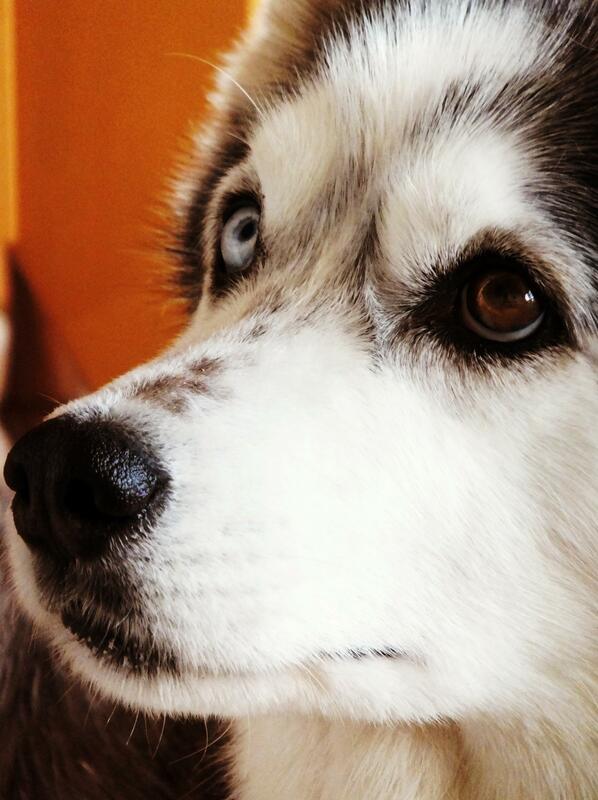 There are a number of myths and legends about canine heterochromia, the most common being that these dogs are capable of viewing heaven and earth simultaneously. It has been thought, in centuries past, that heterochromatic dogs are natural protectors while those with brown or red eyes are spirit dogs. Legend has also whispered down through the generations that sled dogs displaying this condition are faster than those with eyes of the same colour (the photo below proving otherwise!). Beaudreault 2015; Coren 2004; Wolchover 2012. 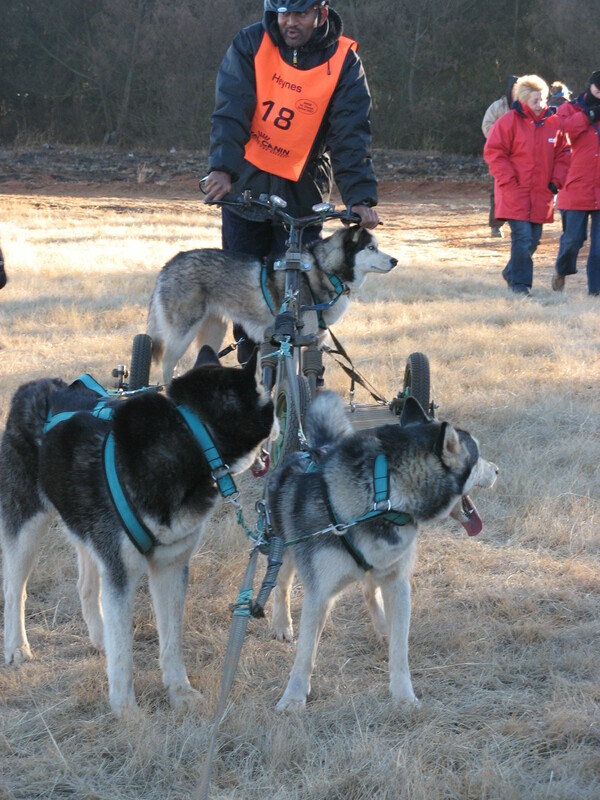 Rogue hitches a ride on the rig – I reckon that heterochromatic dogs do not necessarily make faster sled dogs, they are just infinitely more clever! Complete Heterochromia – One iris is a different colour from the other. 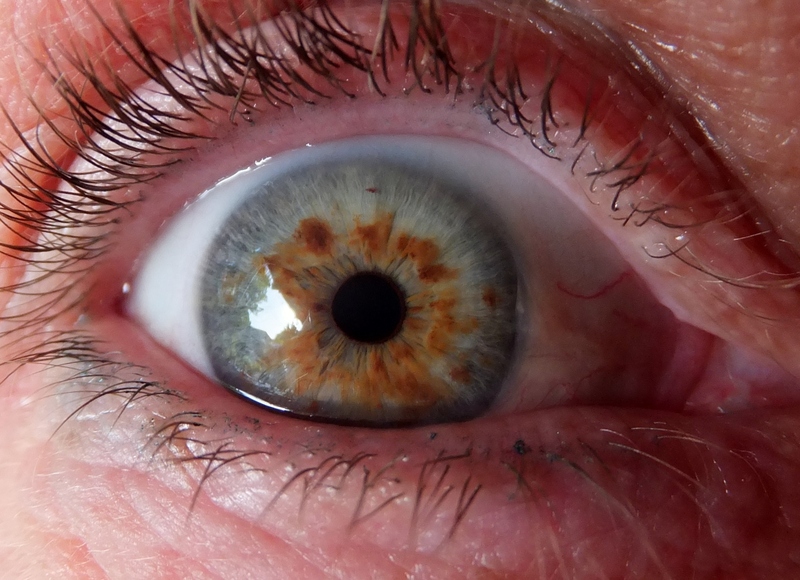 Sectoral Heterochromia – Part of the iris is a different colour from the remainder of the iris. Differences have been detected between small- and large-eyed felid species, the most notable being the optic type and shape of the pupil. The domestic cat has multifocal optics and elliptical pupils (similar to the slit pupils of the crocodile and gecko) while some of its larger relatives have monofocal optics and circular pupils. The Eurasian lynx (Lynx lynx) possess eyes of an intermediary form, an oval pupil. The elliptical pupil contracts and expands at a much faster rate than that of the round pupil allowing the animal to rapidly adjust to shifts in light intensity. While cats can see up to eight times better than humans in the dark, the tight contraction of the pupil protects it from bright lights. The pupils of the “big cats” contract to a round point. The large size of their pupils allows more light into their eyes and this, together with the tapetum lucidum, improves their efficiency when hunting at night. Feline field of view is approximately 200° but the binocular field of vision is relatively narrow when compared to that of a human. 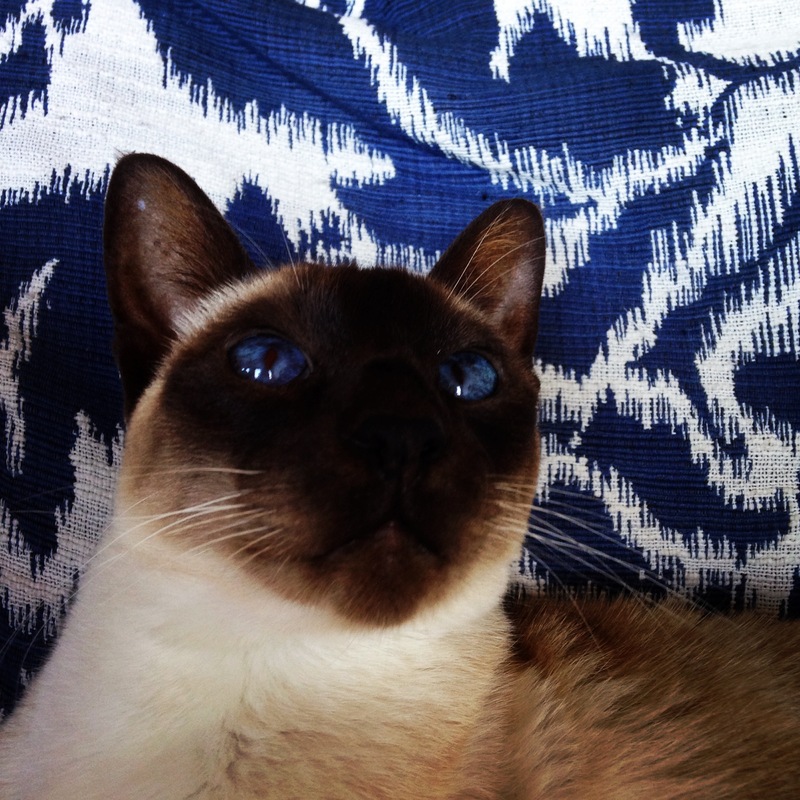 Cats can see some colours and are able to distinguish between red, blue and yellow lights as well as between red and green and are better at differentiating between the blues and violets than between the colours situated at the other end of the spectrum. 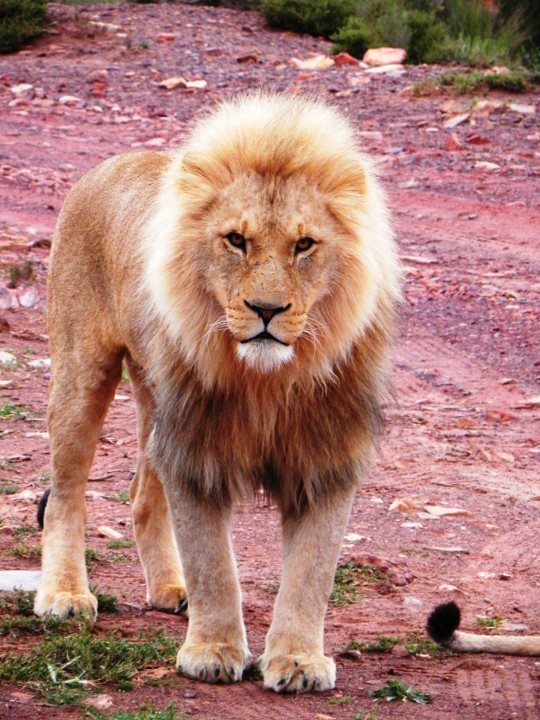 While limited to only seeing in mainly blue and green, the night vision of lions (Panthera leo) is highly developed due to its tapetum lucidum and further enhanced by the white stripes on their lower lids reflecting faint light into their eyes. This provides a good distinguishable feature in hunting technique between species. 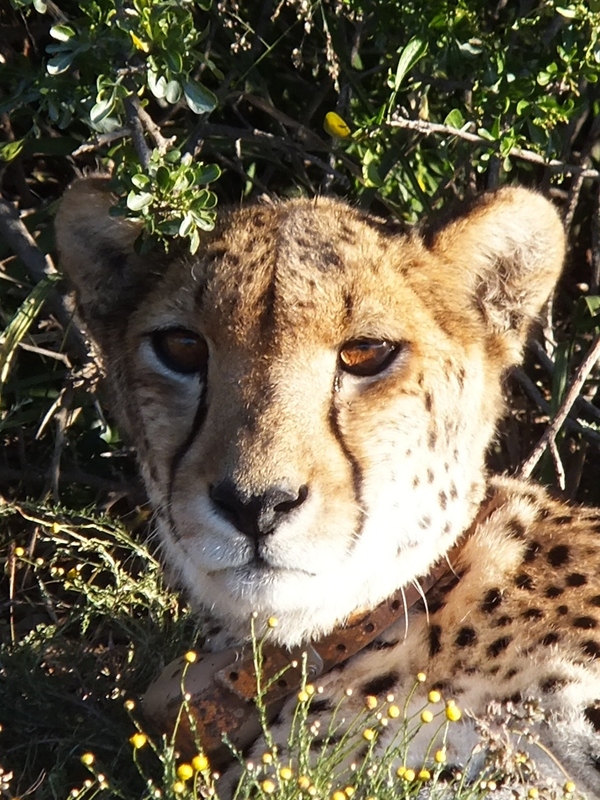 The cheetah (Acinonyx jubatus), being a diurnal hunter with poor night vision, has black “tear lines” to reduce the daytime glare and assist in seeing over long distances. During the day, a cheetah will perch on a raised vantage point such as a fallen tree or rocky ledge to survey its surroundings and is able to spot its prey from up to 5 km away. Ferro 2013; Hughes 1975; Lewis; Peel 2011; Tenikwa. The elliptical pupils of a domestic cat (Felis catus). 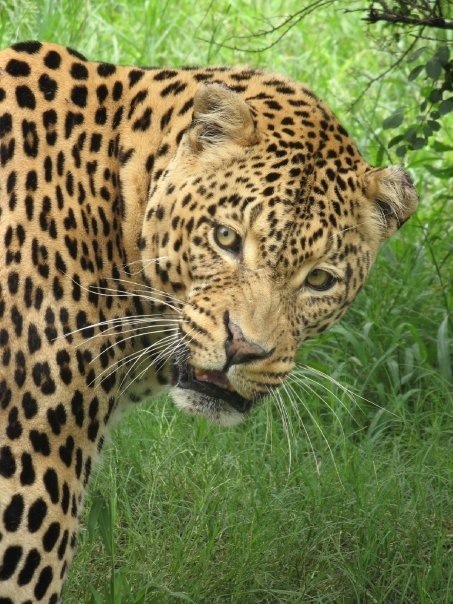 Leopard (Panthera pardus) has night vision up to seven times better than that of humans. 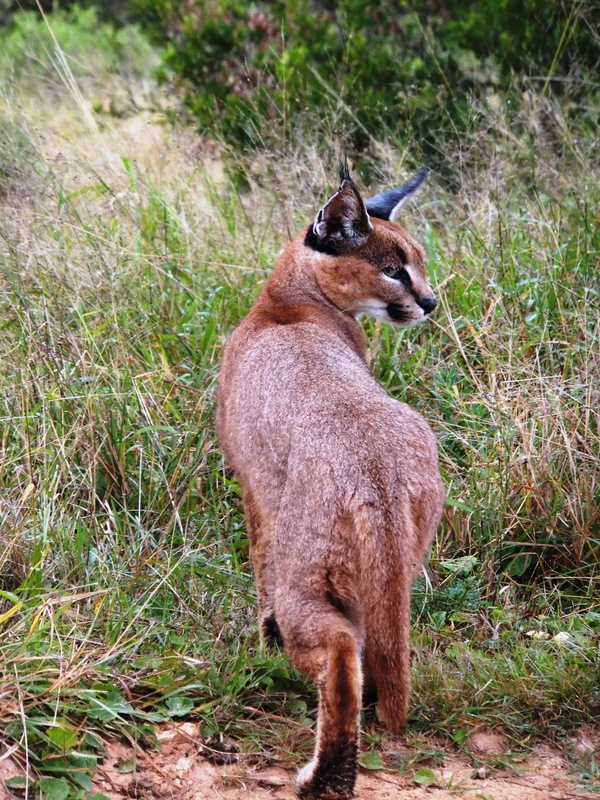 The eyes of the caracal (Caracal caracal) range from golden to copper and from green to grey with juveniles having bright blue ones. 36 000 bits of information every hour. If blind people were not born that way, they can still see in their dreams. ALEXANDER CL. 2011. 14 Fun Facts about Animal Eyes: A 15-Minute Book – Educational Version. Learning Island. COREN S. 2004. How Dogs Think: Understanding the Canine Mind. Simon & Schuster: New York. GRAMBO RL. 2003. Eagles. Voyageur Press: London. HUGHES A. 1975. A Quantitative Analysis of the Cat Retinal Ganglion Cell Topography. Journal of Comparative Neurology 163(1): 107-28. HUTCHINSON AE & SILLIKER B. 2000. Just Eagles. Willow Creek Press: Wisconsin. KATZIR G, LOTEM A & INTRATOR N. 1989. Stationary Underwater Prey Missed by Reef Herons, Egretta gularis: Head Position and Light Refraction at the Moment of Strike. Journal of Comparative Physiology A 165: 573-576. KAWAMURA G, NOBUTOKI K, ANRAKU K, TANAKA Y & OKAMOTO M. 2001. Colour Discrimination Conditioning in Two Octopus Octopus aegina and O. vulgaris. Nippon Suisan Gakkaishi 67(1): 35-39. KÖNIG C, WEICK F & BECKING J. 1999. Owls: A Guide to the Owls of the World. Yale University Press: New Haven. LAND MF. 2006. Visual Optics: The Shapes of Pupils. Current Biology 16(5): 167-168. LEROY A & LEROY J. 2003. Spiders of Southern Africa. Struik Publishers: Cape Town. LOTEM A, SCHECHTMAN E & KATZIR G. 1991. Capture of Submerged Prey by Little Egrets, Egretta garzetta garzetta: Strike Depth, Strike Angle and the Problem of Light Refraction. Animal Behaviour 42(3): 341-346. NILSSON D. & PELGER S. 1994. A Pessimistic Estimate of the Time required for an Eye to Evolve. Proceedings of the Royal Society of Biological Sciences 256(1345): 53-58. OTT M, SCHAEFFEL F & KIRMSE W. 1998. 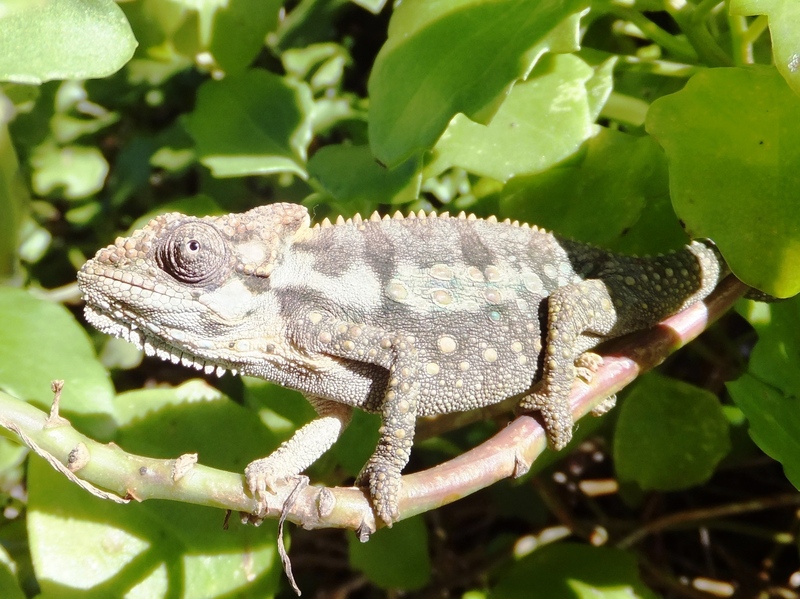 Binocular Vision and Accommodation in Prey-catching Chameleons. Journal of Comparative Physiology A 182(3): 319-330. PARKER AR. 2009. On the Origin of Optics. Optics & Laser Technology 43(2): 323-329. PETER KL, GUINOT D & DAVIE PJF. 2008. Systema Brachyurum: Part 1. An Annotated Checklist of Extant Brachyuran Crabs of the World. The Raffles Bulletin of Zoology. Supplement 17: 286. RÖLL B. 2001. 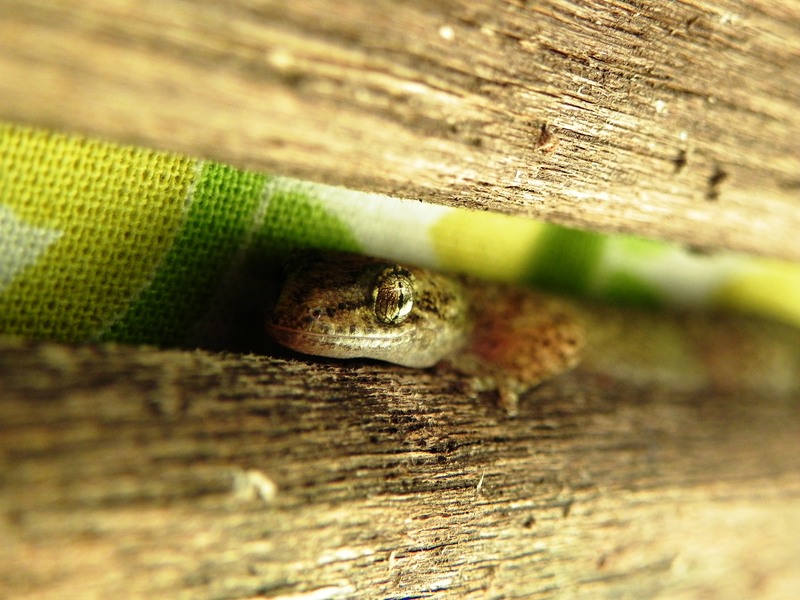 Gecko Vision – Retinal Organization, Foveae and Implications for Binocular Vision. Vision Research 41(16): 2043-2056. ROTH LSV, LUNDSTRÖM L, KELBER A, KRÖGER RHH & UNSBO P. 2009. The Pupils and Optical Systems of Gecko Eyes. Journal of Vision 9(3): 1-11. THOEN HH, HOW MJ, CHIOU T & MARSHALL J. 2014. 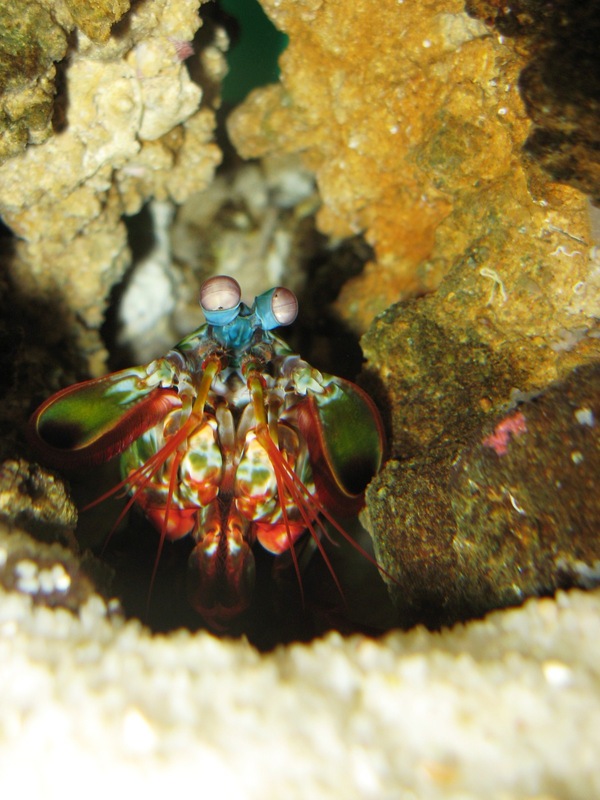 A Different Form of Colour Vision in Mantis Shrimp. Science 343: 411-413. Is there an answer key to the photograph with all the eyes? Haha yeah I thought the same thing, a few of them are really bugging me, but unfortunately the source didn’t have one and I haven’t come across one since. Will update the post if I do find one.